If your home is in a designated rural area, and you meet income requirements, you may qualify for a loan with no down payment. The zero-down mortgage is still alive through the Agriculture Department's rural-development housing program. "The terms of eligibility for a USDA loan are twofold, because not only does the borrower need to qualify, but so does the property," says Tommy Xintaris, a senior mortgage banker with Envoy Mortgage in Houston, which lends throughout Texas. "It's a small box that borrowers have to fit into, but it's a great program if they do." First, to be eligible, the property must be in a designated rural area. The USDA website lists counties designated as rural. But some properties are eligible for USDA loans in counties that are not designated rural, Xintaris says. There are eligible homes on the outskirts of Austin, Texas, for example. "The best way to find out about property eligibility is to enter an exact address (on the USDA site)," Xintaris says. After the home's location is deemed eligible, the borrower must meet income and credit standards. "Borrowers must have a low to moderate income and yet be able to afford the payments on the property," says Paul Defngin, a mortgage planner with Apex Home Loans in Rockville, Md. "USDA has established income limits. Borrowers can enter their ZIP code, income and number of members of the household and will know immediately if they qualify for the program." To check on income limitations by county, go to the USDA's income-eligibility site. Defngin says borrowers must demonstrate they can afford the mortgage payments by meeting the USDA debt-to-income ratios of 29% for the housing payment and 41% for the overall debt to gross monthly income. OIL - you better sit down. About 6 months ago, the writer was watching a news program on oil and one of the Forbes Bros. was the guest. The host said to Forbes, "I am going to ask you a direct question and I would like a direct answer; how much oil does the U.S. Have in the ground?" Forbes did not miss a beat, he said, "more than all the Middle East put together." Please read below. "This sizable find is now the highest-producing onshore oil field found in the past 56 years," reports The Pittsburgh Post Gazette. 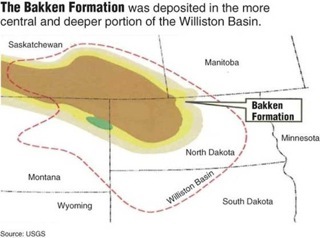 It's a formation known as the Williston Basin, but is more commonly referred to as the 'Bakken.' It stretches from Northern Montana, through North Dakota and into Canada. For years, U. S. Oil exploration has been considered a dead end. Even the 'Big Oil' companies gave up searching for major oil wells decades ago. However, a recent technological breakthrough has opened up the Bakken's massive reserves.... And we now have access to up to 500 billion barrels. And because this is light, sweet oil, those billions of barrels will cost Americans just $16 PER BARREL! - and it's all right here in the Western United States. Don't think 'OPEC' will drop its price - even with this find? Think again! It's all about the competitive marketplace. GOOGLE it, or follow this link. You will be amazed. RED CROSS BLOOD DRIVE, NOV. 18th, 2010 from 12 noon to 6 p.m.
For many Americans, Thanksgiving is about family, food and football. And when we gather for our Thanksgiving Day feast, we often give thanks for all that’s good in our lives, including good health. However, there are countless hospital patients who are battling serious health issues through the holidays. Many of these patients will need donated blood to survive. So, before you dive into that turkey, sweet potatoes and pumpkin pie, consider giving blood with the American Red Cross. It only takes about an hour to help save the lives of up to three patients. Locally, you may give blood on Thursday, Nov. 18, from 12 noon to 6 p.m. at the Lions Club Building located at 540 W. Adams St. in Woodbury. All presenting blood donors receive a free Red Cross Racing camo hat, while supplies last. Free test kits for radon gas that can build to dangerous levels in homes are being offered online through the State of Tennessee. The naturally occurring radioactive gas is emitted from rocks underground and seeps into homes through cracks and openings in foundations. "I encourage all Tennesseans to order one of these free, easy-to-use test kits and take this important step to protect the health of your loved ones from the dangers of exposure to radon," Environment and Conservation Deputy Commissioner Paul Sloan said in an e-mailed announcement. Radon, which can't be seen or smelled, is the number one cause of lung cancer among nonsmokers, according to the Environmental Protection Agency. It's the second leading cause of lung cancer in the country. The EPA estimates that approximately 70 percent of Tennessee's population lives in high-risk or moderate-risk radon areas. Parts of Middle Tennessee have rocks that give off relatively high levels of the gas. Testing is best at this time of year when doors and windows are shut. Radon problems can be fixed by blocking the gas or improving the ventilation of a home. Contractors can take care of the problem for a cost comparable to that of many common household repairs, such as painting or installing a new water heater, according to the state. -How to Get Your Buyer Off the Fence! -How to Generate More Qualified Leads! -Low Cost – High Return Marketing Strategies! -How to Make 100K Per Year Without Advertising! -Social Media Tips, Tricks and Myths! -Dozens of Free Marketing Sites! -Automated Marketing Systems that Work! -The 24 Hour Biz Plan that Creates Results! 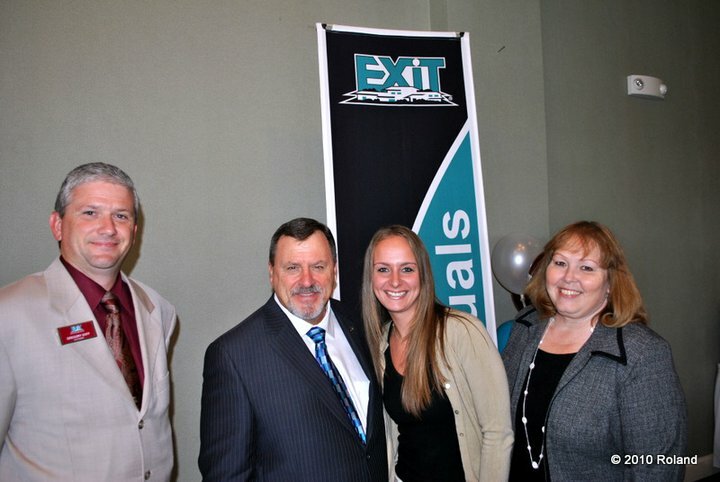 Steve Morris, the founder of EXIT Realty will be hosting a training seminar on October 6th, 2010 at Stones River Country Club in Murfreesboro from 10 a.m. until 3 p.m. Steve Morris is the most dynamic speaker in real estate today. Free lunch will be served at 12' noon. Come home to peace and serenity in this all brick home set among the trees on 6 acres of land in the Lake Anne community of Cannon County, TN. Lake Anne is a small private lake located approximately 5 miles from Woodbury, TN. Considered by many as one of the best communities in the area, it is very peaceful and quiet with homes situated on larger tracts of land. The private lake offers fishing by permission only from the owner and the streets offer quiet evening walks with little to no traffic. Woodbury, TN is a small town located approximately 50 miles southeast of the city Nashville, TN in Cannon County. Search for more properties in Woodbury. As of the 2008 census, the were 13,408 people county wide, 5,693 housing units and 4,998 families living in the county. The racial make-up of the county was 96.8% white, 1.8% African American, 2% Hispanic. Proceeds from the event will help Marie with medical expenses. She suffers from stage III ovarian cancer and has no income or medical insurance. She has lived in the Iconium Community with her two sisters Kay & Faye for 32 years. She is a former employee of Valdor and Woodbury Grammar School. Time: Meal Begins @ 4:00 p.m. until 6:00 p.m.
Entertainment will be provided by local groups during meal hours in the gymnasium. Greg Mitchell and his band will be performing at 8:00 p.m. If you would like to donate a dessert or other items for the auction or need additional information contact Kim Nichols @ 615-765-7267, Linda Jernigan @ 615-563-4396, Sandy Johnson @ 615-653-8101 or Donna Reed @ 615-563-5434. If you're unavailable to attend this event and you would like to help Marie, monetary donations can be made at Regions Bank. Have you ever wanted your own piece of paradise with no neighbors in sight? If this is you, be sure to take a tour of this amazing home with 31 acres. Located in the Short Mountain community of Cannon County, Tennessee, this home has all the modern amenities with the privacy of a secluded retreat. Relax beside the outdoor fireplace on the back porch and watch the wildlife including whitetail deer and wild turkeys or just take a break in the swing on the rocking chair front porch. Inside the home be sure to notice the custom hardwood floors consisting of 8 and 10 inch alternating planks. All wet areas of the home include 18 inch tile floors and all doors throughout the home are constructed of solid wood. This unique home has multiple custom features that can only be appreciated when seen in person. 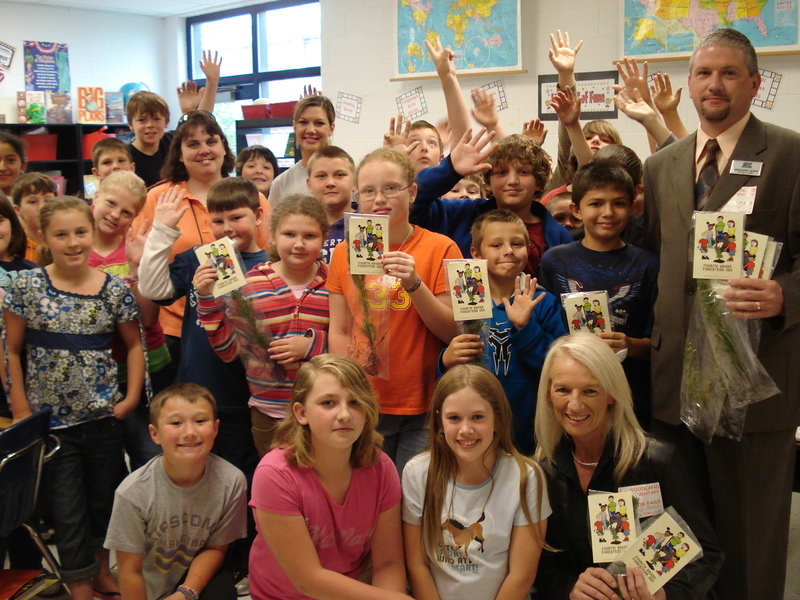 On April 27th & 28th Gregory Goff of Exit Realty Bob Lamb & Associates and Angy Farris of Guaranty Trust Home Loans presented trees to the 4th graders of Cannon County. The trees are a celebration of Arbor Day and the preservation and future of the environment. All the children received certificates proclaiming them "4th Grade Foresters". Each child also received a tree to plant at home or school. All the children thoroughly enjoyed their trees and we would like to thank all the teachers and schools that allowed this event. This is the all brick home you've been looking for. With almost 2,500 sq. ft. and hardwood floors throughout, this property stands out above all the rest. Get a group together for a pick-up basketball game on the open concrete courtyard, start a project in the upstairs area of the 30x30 all brick garage, watch television in every bedroom or just listen to some tunes on the stereo system throughout the home. This property boasts such features as central vacuum system, Corian countertops, solid oak cabinets, flat screen televisions, recessed lighting, walk-in closets and tile shower with dual showerheads. Move in ready and motivated seller! Woodbury, TN is a small town located approximately 50 miles southeast of the city Nashville, TN in Cannon County. 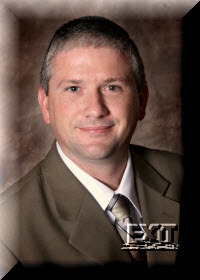 Search for more properties in Cannon County. As of the 2008 census, the were 13,408 people county wide, 5,693 housing units and 4,998 families living in the county. If you've been looking for the perfect starter home, you just found it! This home is located less than one mile from the city limits of Woodbury, TN with no city taxes. The home is move in ready with fresh carpet and neutral colors throughout. The attached two car garage is very spacious and should accomodate your needs. Just add landscaping to give this home your personal touch. The lot consists of approximately one acre. Need room for the horses? Then this mini-farm located less than 4 miles from I-24 is the perfect place! The home consists of 1,792 sq. living ft. and the 30x40 barn has two stalls just waiting for your horses. Enjoy the year round creek that runs through the property and provides an endless water supply for your animals. The home also has 3 bedrooms, 2 baths and wood burning fireplace. The built in china cabinet and 16 cubic ft. freezer remain with the home. Beechgrove, TN is a small quite community in the north portion of Coffee County, TN. Beautiful hills and clear flowing creeks accent the countryside. For convenience, I-24 is located only a few minutes down the road. Be sure to visit the local market on Hwy. 41 and have lunch with the locals. Have you been looking for that special and unique home? Located in the Lake Anne community of Cannon County, you can enjoy the sounds of nature while you relax on the rocking chair front porch. Loaded with modern amenities such as Corian countertops, tile floors, high grade carpet, oversized utility room and modern colors, this 4 bedroom, 3 bath home fills every need. With 3 storage buildings and a 1,400 sq. ft. detached garage & workshop, storage is never an issue. There is even a permanent swingset installed for the kids. The 2.2 acres of land included with the home is level and would make a perfect garden spot or pasture area for a horse.